They’re into giving back too! They donate a pair for every pair they sell! And in only two and half years of selling socks, Bombas recently donated its 5 millionth pair! They teamed up with Zac Efron (who is a big fan), some adorable puppies, and some of their biggest inspirations for a fun video they created. Check out the Video HERE! These truly are the most comfortable socks in the history of socks! 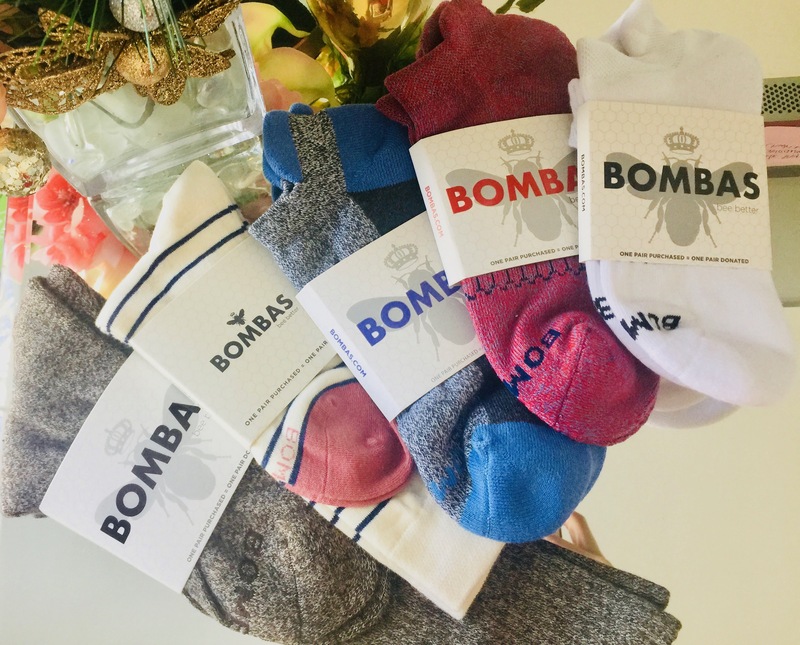 Have you tried out Bombas yet? Let me know in the comments! I love hearing from you! They’re fantastic for all ages! Oh these socks are super stylish and I love that they are so long as well! Me too! They are cozy and warm and perfect for cooler months! I LOVE this brand. I have two pair I adore. Both of mine are the shorter socks, I think they are cool because they have this little tab on the back that keeps them right where they are supposed to go. I like the longer pairs you are wearing in particular the pair that looks like they are ribbed. Very cute! I have never heard of this brand before but I need new quality socks! I would never think to put the black shoes and socks with this outfit but it looks good. Bombas make the best socks!! I love them! They’re so incredibly comfy and cute.